Cover Love includes a cover, blurb, buy links, and social media contacts for the author. 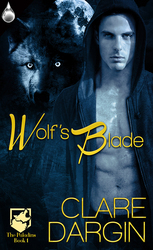 Today's featured book is Wolf’s Blade by Clare Dargin. thank you Kayelle! Always happy to be here! !